Enter for a chance to travel to Guatemala to see Pencils of Promise in action, meet local students, and participate in providing education for all. General Assembly will donate $2.50 for every entrant to build a school in the developing world. General Assembly and Pencils of Promise (PoP) are teaming up to send one lucky educational explorer and a guest of his/her choice to Guatemala where they’ll have the chance to see PoP programs in action. 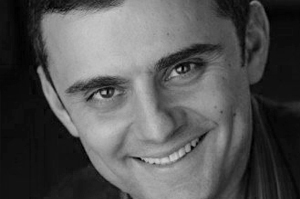 A personal one-hour virtual ‘Ask Me Anything’ with Pencils of Promise Board Member Gary Vaynerchuk, and a signed copy of his new book, Jab, Jab, Jab, Right Hook: How to Tell Your Story in a Noisy Social World. Guatemala is a beautiful country full of remarkable landscapes and home to cultural marvels of a legendary Mayan civilization. However, socioeconomic obstacles of extreme poverty, illiteracy and disease are debilitating to Guatemala’s economy and its citizens. Barriers to education include: health and sanitation issues, gender inequality, lack of qualified teachers, economic instability, and infrastructure challenges. This is a unique opportunity to travel to the developing world, visit PoP schools and see how Pencils of Promise has changed lives through schools. PoP partners with communities to create educational programs that prioritize women and children, fund students and their families, train teachers, provide safe sound infrastructure and provide training for life skills. As a bonus, the winner will have the chance to virtually chat with Gary Vaynerchuk. Gary met PoP Founder Adam Braun in 2011, and they bonded intensely over their shared obsession with family, the NY Jets and the belief that where you start in life should not dictate where you finish. Gary became an active supporter of PoP in 2012 and in 2013 joined the Board of Directors to help guide marketing strategy, digital community building and corporate engagement. 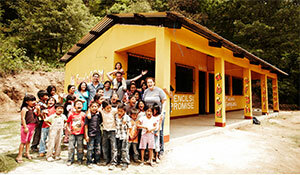 Pencils of Promise believes that every child should have access to quality education. We create schools, programs and global communities around the common goal of education for all. 2. The prize promotion is open to anyone aged over at least 18 years of age and over the age of majority in his or her jurisdiction of residence. Entrants must be legal residents currently residing in the United States only, excluding employees of the Promoter and their families, service providers, agents and anyone professionally associated with this prize promotion on https://generalassemb.ly/win/field-trip. No purchase required. Maximum of 20 entries per person. Multiple participants are not permitted to share the same email address. Any attempt by any participant to obtain more than the stated number of entries by using multiple/different email addresses, accounts, identities, registrations and logins, or any other methods will void that participant's entries and that participant may be disqualified. Use of any automated system to participate is prohibited and will result in disqualification. In the event of a dispute as to any entrant, the authorized account holder of the email address associated with the entry will be deemed to be the entrant. The "authorized account holder" is the natural person assigned an email address by an Internet access provider, online service provider or other organization responsible for assigning email addresses for the domain associated with the submitted address. Each potential winner(s) may be required to show proof of being the authorized account holder(s). 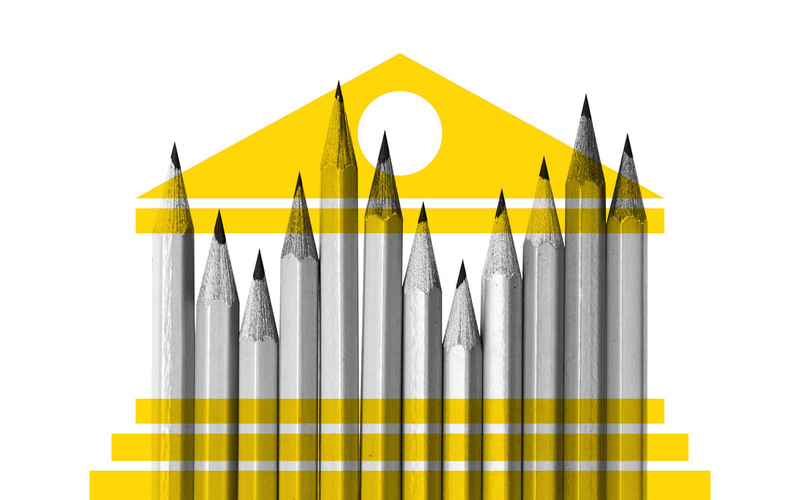 For every eligible, unique email address entered, General Assembly Space, Inc. will donate $2.50 to Pencils of Promise, Inc. The total donation from General Assembly Space, Inc. will not exceed $50,000 USD. 5. To enter, please submit the online entry form available on https://generalassemb.ly/win/field-trip by 2013-11-22 23:59 UTC. 7. The start date for the prize promotion is 2013-09-30 08:00 UTC. The closing date for entry is 2013-11-22 23:59 UTC. The Promoter will not consider entries received after this date and time. The winner will be notified within 7 days of the closing date. The Promoter’s computer is the official time-keeping device for the promotion. Odds of winning the promotion depend on the number of eligible entries received during the Promotion Period. 8. One winner and a guest of his/her choice will be selected to recieve the following grand prize: a trip to Guatemala where they’ll have the chance to see Pencils of Promise programs in action; Guided tours of school facilities and PoP's Panajachel headquarter office ($100); 4-night Hotel accommodations in Panajachel on the beautiful Lake Atitlan, provided by Pencils of Promise ($700); 2 round-trip economy class tickets to Guatemala from an airport nearest Winner's home residence in the United States ($1,100); introductions to local students and education innovators; Winner and winner’s guest must be at least 21 years of age, a legal U.S. resident and must also agree to abide by the terms and conditions outlined here. The aggregate retail value of the prize(s) is approximately $1,900. The Sponsors will work with the winner to arrange accommodations, flight and other arrangements. No substitution, assignment or transfer of the prize is permitted, except by Sponsors, who have the right to substitute a prize with another of comparable or greater value. Date and times are subject to change. The winner will receive the prize by approximately 2014-04-01 15:53 UTC. Winner is responsible for all taxes and fees associated with the receipt and/or use of the prize. Winner is solely responsible for any and all transportation to airports, any and all costs associated with personal usage of goods or services at the hotel (e.g. minibar, Internet access, gym pass, etc.) or during any and all flights. 13. The prize winner will be notified by email on or before 2013-11-29 23:59 UTC. 15. Details of the prize winner (name and county only) may be obtained by written request by sending a self-addressed envelope to the Promoter at 10 East 21 Street, 4/F, New York, NY OR 9 Back Hill, 4/F, London EC1R 5DF after 2013-11-29 23:59 UTC. 18. TO THE FULLEST EXTENT PERMITTED BY LAW, BY PARTICIPATING IN THE PROMOTION, YOU AGREE THAT: THESE TERMS AND THE PROMOTION ARE GOVERNED BY, AND WILL BE CONSTRUED IN ACCORDANCE WITH, THE LAWS OF THE STATE OF NEW YORK (WITHOUT GIVING EFFECT OR REGARD TO ANY PRINCIPLES OR DOCTRINES OF CONFLICTS OF LAW/CHOICE OF LAW OF THE STATE OF NEW YORK USA OR OF ANY OTHER JURISDICTION), AND THE FORUM AND VENUE FOR ANY DISPUTE ARISING OUT OF OR RELATING TO THESE OFFICIAL RULES SHALL BE IN THE COUNTY OF MANHATTAN, NEW YORK. IF THE CONTROVERSY OR CLAIM IS NOT OTHERWISE RESOLVED THROUGH DIRECT DISCUSSIONS OR MEDIATION, IT SHALL THEN BE RESOLVED BY FINAL AND BINDING ARBITRATION ADMINISTERED BY JUDICIAL ARBITRATION AND MEDIATION SERVICES, INC., IN ACCORDANCE WITH ITS STREAMLINED ARBITRATION RULES AND PROCEDURES OR SUBSEQUENT VERSIONS THEREOF ("JAMS RULES"). THE JAMS RULES FOR SELECTION OF AN ARBITRATOR SHALL BE FOLLOWED, EXCEPT THAT THE ARBITRATOR SHALL BE EXPERIENCED AND LICENSED TO PRACTICE LAW IN NEW YORK. ANY SUCH CONTROVERSY OR CLAIM WILL BE ARBITRATED ON AN INDIVIDUAL BASIS, AND WILL NOT BE CONSOLIDATED IN ANY ARBITRATION WITH ANY CLAIM OR CONTROVERSY OF ANY OTHER PARTY. ALL PROCEEDINGS BROUGHT PURSUANT TO THIS PARAGRAPH WILL BE CONDUCTED IN THE COUNTY OF MANHATTAN, NEW YORK. THE REMEDY FOR ANY CLAIM SHALL BE LIMITED TO ACTUAL DAMAGES, AND IN NO EVENT SHALL ANY PARTY BE ENTITLED TO RECOVER PUNITIVE, EXEMPLARY, CONSEQUENTIAL, OR INCIDENTAL DAMAGES, INCLUDING ATTORNEY'S FEES OR OTHER SUCH RELATED COSTS OF BRINGING A CLAIM, OR TO RESCIND THIS AGREEMENT OR SEEK INJUNCTIVE OR ANY OTHER EQUITABLE RELIEF.